Looks you searching for Best Custom ROM for Micromax A110 Canvas 2? If yep, then you are at right place. Today, I will show you a best Custom ROM for Micromax A110 Canvas 2. Micromax A110 Canvas 2 is the best device of Micromax because it is having best developer support. The device is powered with 1 GHz Dual Core, 512 MB RAM, 8 Mega Pixels camera, MediaTek Chipset [MT6589T], 4.0.4 ICS Android Operating System [upgradable to Jelly Bean!]. The device is first to get JB update from Micromax but it got Jelly Bean update before Micromax by developers. It was released in late 2012 that's why there are too many ROMs for this device. 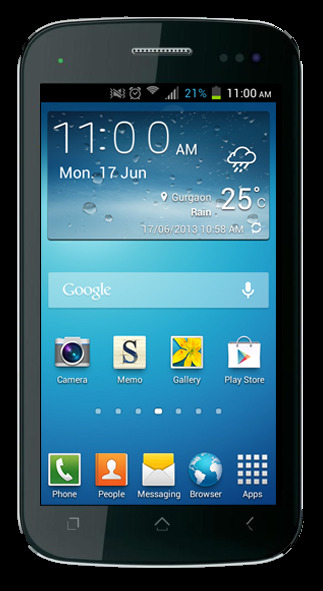 Did you ever wondered Samsung Galaxy S4-like UI on your Micromax A110 Canvas 2? Galaxy S4 is the best Custom ROM for Micromax A110 Canvas 2 because of it's features and UI. 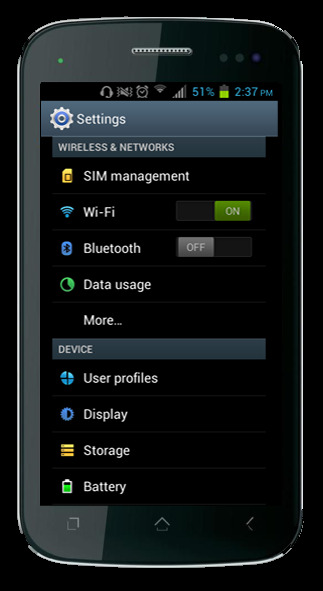 The ROM is fully like Samsung Galaxy S4- the launcher, the settings, the widgets, the dialer screen etc. Lots of tweaks stuffed inside! I'm sure you will be crazy after flashing the ROM! After reading the feature, I'm sure you are thinking to download the ROM. Actually, there's no risk if there is ClockWorkMod Recovery installed in your device with a Nandorid backup but still I won't guaranty that everything will go right. Download the Custom ROM v1 and v1.1 from the above links. Switch off your Android phone. Remove the battery for 10 seconds and plug the battery after some seconds again. Press and hold "Volume UP" + "Power Key" simultaneously for sometimes till you boot into ClockWorkMod Recovery. Make a Nandroid backup by going on "Backup and Restore" and clicking on "Backup". Go Down by using Volume down button and click on "Wipe data/factory reset" > "Yes" to wipe the data. Go back again and click on "Wipe cache partition" > "Yes" to confirm and wipe the cache partition. Now go to "Mounts and Partitions" from the main menu and click on "Format /System". Go back again and click on "Install a ZIP from SDCARD" and choose "CanvasS4 Custom ROM for Micromax A110 Canvas 2.zip". Now, again click on "Install z ZIP from SDCARD" and choose "CanvaS4 v1.1 Custom ROM for Micromax A110 Canvas 2.zip". Again flash "CanvaS4 ROM Bug Fixes.zip" by the same procedure. 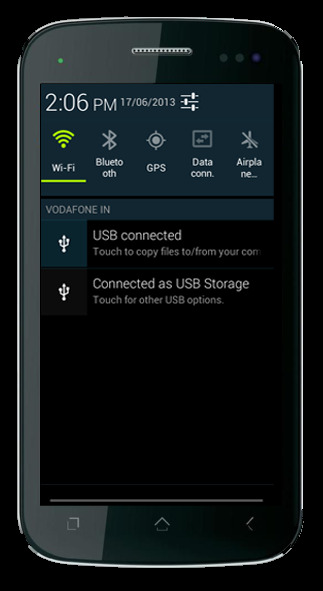 [Optional] Flash STOCK Micromax A110 Canvas 2 Lockscreen by the same procedure. [Optional] Flash BlackBerry Lockscreen for Micromax A110 Canvas 2 by the same procedure. Reboot the device and enjoy the ROM! It will take more than 2 Minutes to boot because the ROM is newly flashed and the data is not formed so it will take some time to make dalvik cache and other data so chill and relax till it completes the formation of data and other important file formation. Buy a brand new Canvas 2 at only 11 thousands from @FlipKart! Because you are using stock recovery. Use ClockWorkMod Recovery. Wipe data, format the system partition and then flash the ROM.